We went to our first Tea Party on April 15th and took the kids. It was rather interesting, lots of people with lots to say... I am sure they would have talked all day, had we given them the chance. 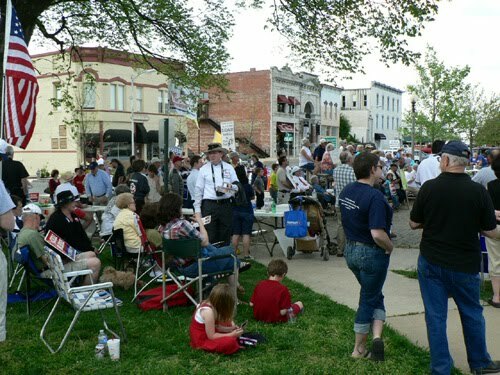 It was hard to find in downtown Rogers because like most small towns, the downtown area is undergoing a revitalization and roads are closed, etc, etc. 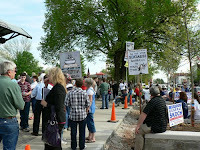 There weren't any sign posted directing anyone to the Tea Party, which I believe is a mistake on their part. More people would show up if they actually advertised it. Anyway, we met some of the candidates running for election and I look forward to seeing which ones win the primary. We won't be able to vote in the primary as we aren't registered voters yet... won't be until after we close on the house. My favorite part of the Tea Party were the signs... there were a few that people actually spent a lot of time and imagination creating. The news coverage was lacking although there was a news van there. I think they were only their in case people got out of hand. I didn't see or hear a single racist comment, nor any negativity. The speakers didn't try to sway your vote and the candidates kept it clean. 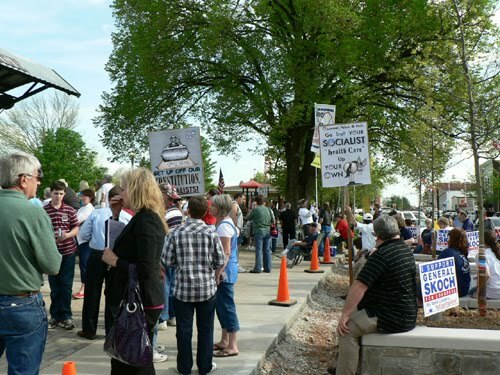 I think more people should show up to these Tea Parties in order to get more informed. So many people don't pay attention to politics and they should. Maybe our country wouldn't be such a mess if people actually paid attention. 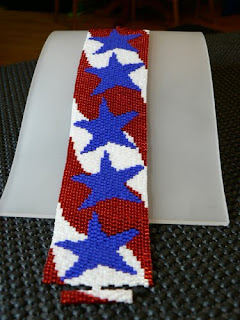 I wore my 3PD "Patriot 7" Cuff to the Tea Party. Its a great way to show my love for this great country. I was also fortunate enough to be invited to submit one of my Patriot cuffs to TAPS. TAPS is a great organization that raises money and support for the family members of military personnel. Normally the dependents get forgotten, when in fact, they are in fact the power behind the throne. TAPS is there to help fill in the gaps. I am an Air Force brat, whom, thankfully never needed TAPS. I am just glad that TAPS is there for those that do need them. I love that cuff design! It's so patriotic, without being too much like a flag.